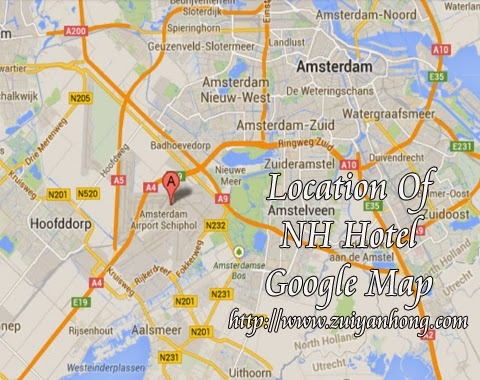 We moved to Schiphol NH Hotel after savoring dinner at Nam Kee Restaurant. 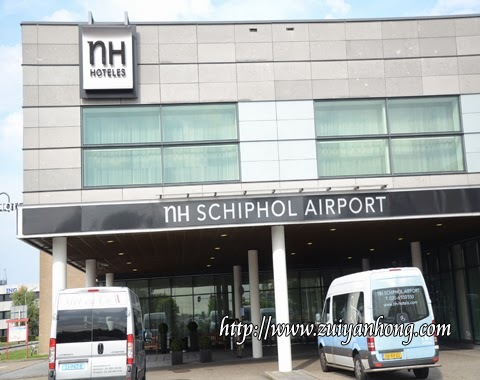 Schiphol NH Hotel is located near Netherlands Schiphol International Airport which is 15 km from Amsterdam. 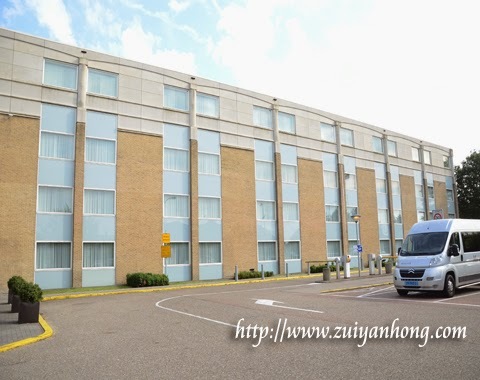 This is another photo which shows the exterior of Schiphol NH Hotel. The hotel building is not tall because it's near airport. The guest room of Schiphol NH Hotel is cozy and clean. 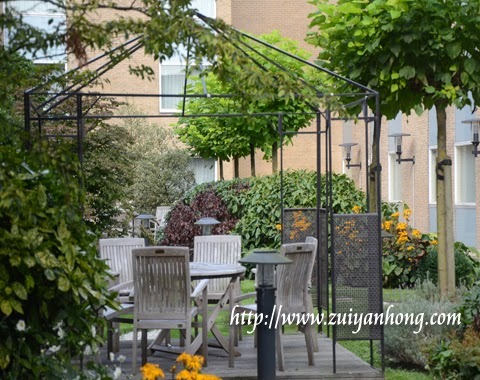 We stayed in this hotel for 3 nights because we were around Netherlands for 3 days. The lobby of Schiphol NH Hotel is tranquil. Its layout and decoration is truly amazing. Hotel guests can relax at the lobby while waiting for check-in. The cafe is beside the reception counter. As you can see from the photo, it's close at certain time. 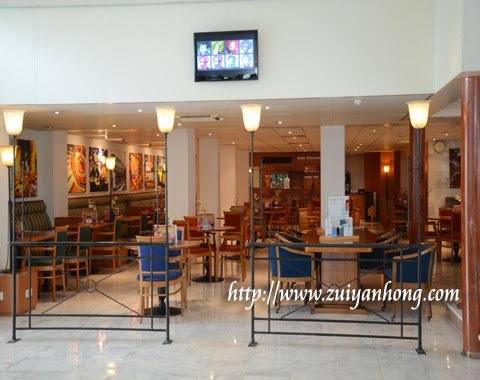 You have to check it out in case you wish to dine or drink at the cafe. There is a mini garden outside the hotel lobby. You can dine or enjoy drinking at the mini garden. We went to Netherlands during summer but we felt cold at the mini garden at night. 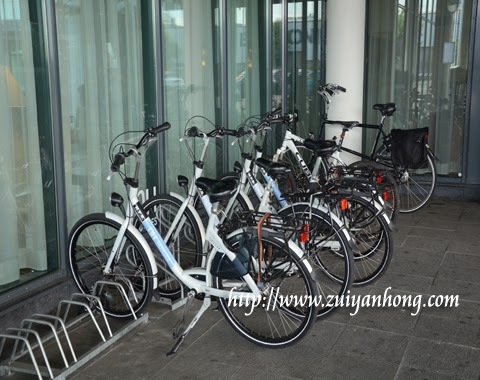 Bicycles are available for visitors. I have no idea whether it's free of charge or have to pay for using the bicycles. Netherlands is a bicycle friendly nation especially Amsterdam City. That's why Amsterdam is known as "City of Bicycles".